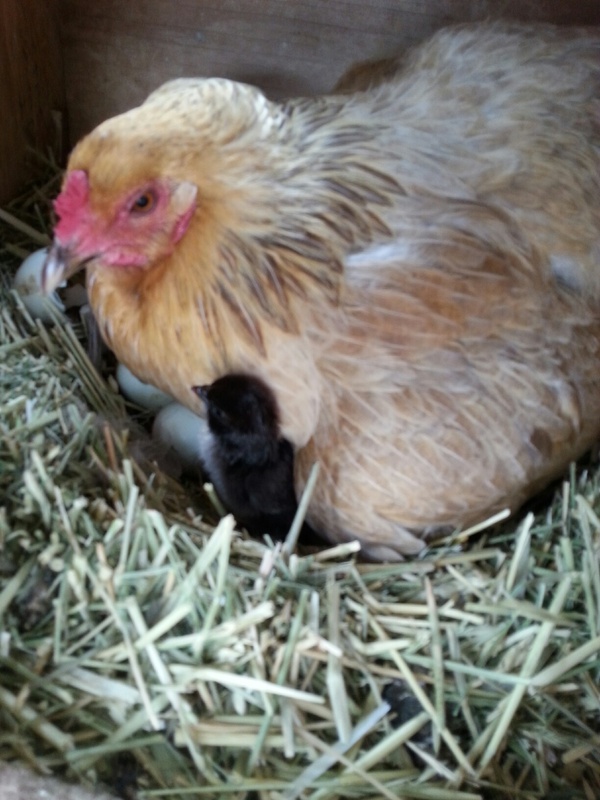 As mentioned before, I have never had a hen go broody until this spring. One of my Americana hens has been sitting a clutch of eggs since late April and according to my calendar was due to start hatching chicks out this week. I went out shortly after lunch today to find two chicks under her, along with more than a dozen unhatched eggs. A little internet research turned up the information that hatching may take place over 36 hours so I’m hoping to find more chicks tomorrow morning. And we have been having thunderstorms (and hailstorms) on a fairly frequent basis this spring. The past few years the weather has been unpredictable, but generally rain is more likely to occur with the summer monsoons. The extra moisture bodes well for the pasture and will hopefully mean I won’t need as much hay this year. 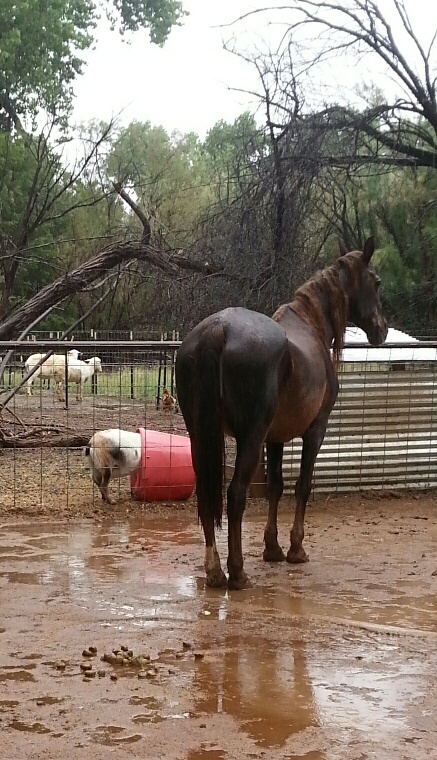 Joey found a unique way to stay dry (or mostly dry) during this afternoon’s thunderstorm. This entry was tagged Chickens, Eggs, Goats, Poultry, weather. Bookmark the permalink. ← Neither snow nor rain nor heat nor gloom of night . . .